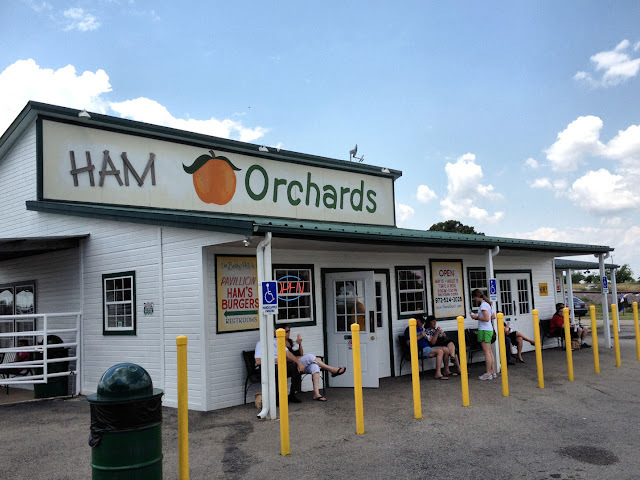 Ham Orchards open for business this past weekend, so a trip was needed to taste test the peach ice cream. I am pleased to report it passed, but it didn't last long enough to get a picture. Another taste test may be required. They are open through August 15th. The big yellow poles are new this year, I guess they don't like people driving through the front doors. 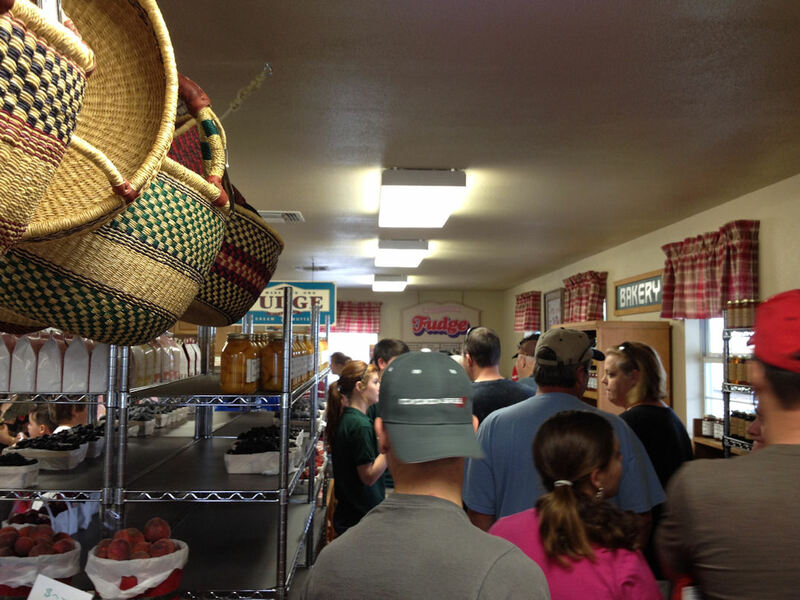 There is always a line for the ice cream, but it moves fast.